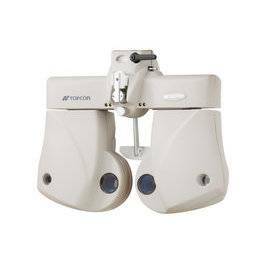 Optical Effects Vision Center now carries Topcon’s CV-5000PRO automated phoropter! The CV-5000PRO offers all the latest features in automated refraction. It features a high speed lens chamber, small optical head and several controllers. Fast lens rotation provides comfort for user and patient and its compact and contemporary design enhances the professional image of the practitioner. Thanks to the compact design of the phoropter, the refractionist can monitor the patient’s expression during refraction. To perform near tests, near chart illumination is incorporated into the CV-5000PRO. KB-50S Control PanelThrough the use of the KB-50S control panel the operator can control all functions of the CV-5000PRO automatic phoroptor head. The KB-50S is equipped with a large colour LCD touch screen display, providing the best overview on refraction results in the market. Personal settings like sreen lay out and modus operandi can be defined. The sales support function helps you to visualize your lens advice with animations. Software OperationThe CV-5000PRO can be operated through a PC. A unique operating system allows the operator to use his own PC hardware. The lay out of the user interface ensures a good overview of the refraction data. 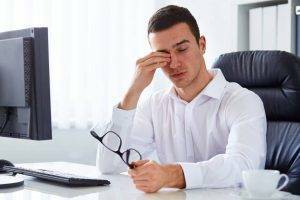 For more, call your eye doctor at Optical Effects Vision Center today!